or bring your own vessel for an estimate price. Celebrate Folkmoot July 19-29, the 35th Edition of North Carolina’s Official International Folk Festival! Folkmoot 2018 begins with celebrations of international folk dance and cultural exchange, proceeds through 10 days of international folk dance and cultural exchange at venues all over Western North Carolina and ends with a huge celebration of international folk dance and cultural exchange. Folkmoot is, without questions, the Smoky Mountains’ biggest party of the summer! July 22: Sunday Soirée, Paynesville, Folkmoot Greenspace. An international friendship dinner, beginning at 5 p.m., with food from the Blind Pig Supper Club featuring food from an array of chefs, including Chef Jeremiah DeBrie of Intentional Swine, plus conversations and entertainment by Western North Carolina youth cultural groups. Join Intentional Swine and Lady Luck Flower Farm as we host a beautiful summer gathering on the farm, featuring live music, brews from Burial Beer, and plentiful seasonal dishes. 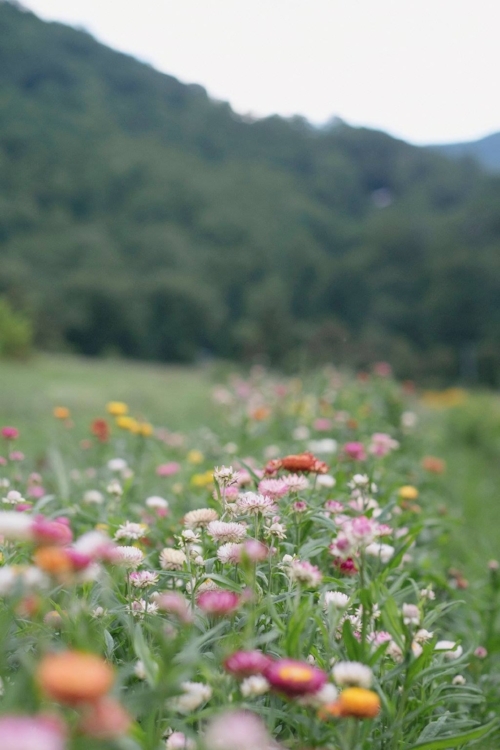 Stroll around fields of flowers and take in the gorgeous mountain views as we kick of summer the right way. Join Intentional Swine & All Souls Pizza as we kick off summer! Come relax in the grassy field as we fire up the grill, serving cookout classics and cold drinks accompanied by live music. 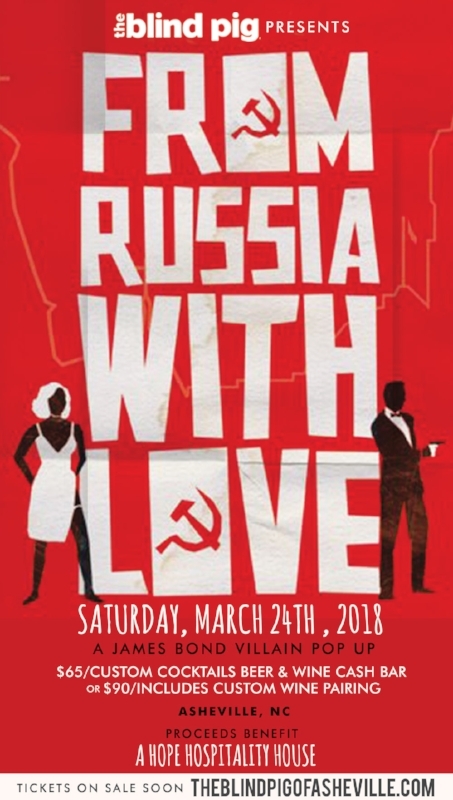 This is a low-key, family friendly event. Bring a blanket and chill out as we welcome summer! Orbison stands as the rare artist who defied simple genre branding- going from rockabilly to international pop stardom, as he shied away from musical labels because he didn't want to be pigeonholed into one category. His contributions to all of music cannot be overlooked. In eras when rock was especially dominated by macho posturing and sexual bragging, Orbison wasn't afraid to show vulnerability. Join The Blind Pig Supper Club, featuring Chef's Jeremiah DeBrie of Intentional Swine & Mike Moore of the Blind Pig on Sunday April 15th, 2017 in Asheville, NC for this very special pop up event celebrating the life and legend of Roy Orbison. Come check out our 2018 CSA program! 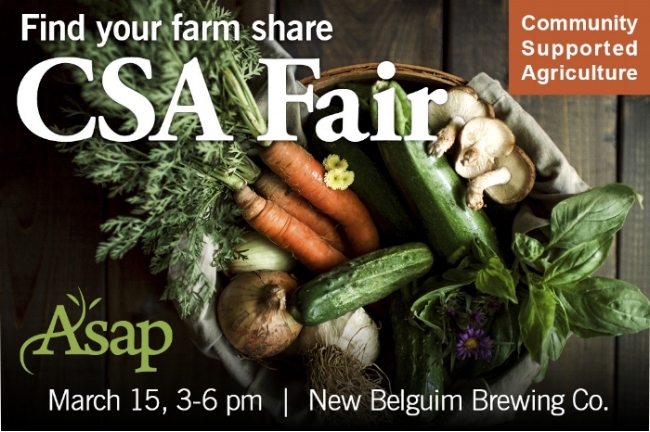 Fair goers will have the opportunity to browse different CSA programs and talk directly with farmers about their offerings. Farms will be set up at individual tables like a farmers market and will share information about their CSA programs, including what products they offer, where and when they deliver, and about their growing practices. The CSA Fair is a great way to learn more about how CSAs work and to meet your local farmers. Hosted at New Belgium Brewing Co., this event is FREE and open to the public! 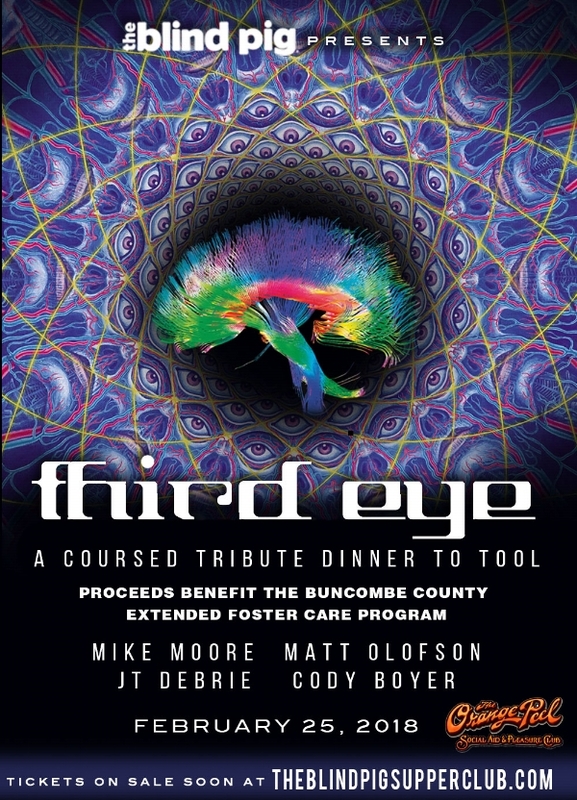 The Blind Pig presents Third Eye: A culinary tasting menu inspired by the music of TOOL. Join the us for a fantastic event involving lights, sounds and tastes inspired by Tool, presented by the Blind Pig Supper Club. Six Courses. Gratuity Not Included. Open Bar provided by The Orange Peel. Event is Not BYO. Featuring chef JT Debrie of Intentional Swine, Cody Boyer of FIG Bistro Asheville, Mike Moore and Matt Olofson of The Blind Pig Supper Club. Supporting The Buncombe County Extended Foster Care Program. There is a critical need for foster parents in Buncombe County. Foster families play an important role in establishing safety and security for children. Every child should have the right to grow up feeling safe. 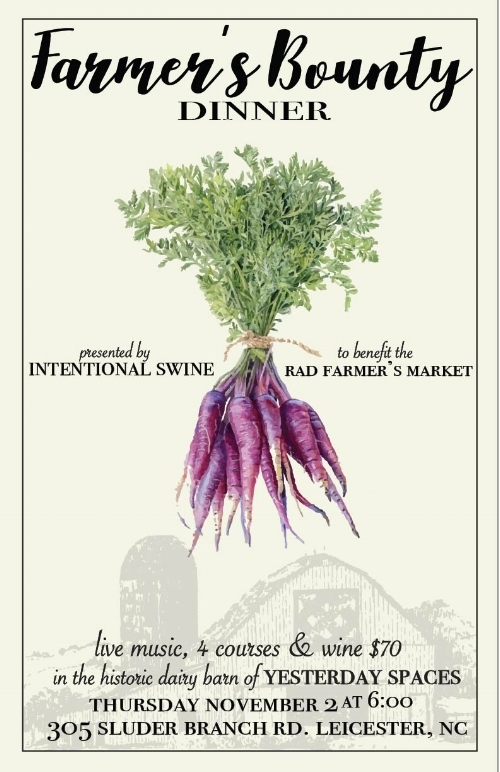 Join Intentional Swine, All Souls Pizza, and the River Arts District Farmer's Market for a party & cookout in the field! Hosted in the field of All Soul's Pizza, come join us for plates of local food from the grill, cold rosé, cheap beers & live music from Fireside Collective. Bring the kids & a blanket, and celebrate with us as we kick off summer! Join us at the River Arts District farmer's market for opening day, Wednesday, May 3rd from 2:00-6:00! We'll be at the market every Wednesday from May-October vending a variety of butchers cuts, charcuterie, stocks, broths, cooking fats & other prepared products. We also use this as a pick up point for our Butcher's CSA's. Stop by and say hello! Join us for a pop-up dinner that explores the cuisine of Scandinavia through five unique courses! Dinner includes beverage pairings and is being hosted at Gan Shan Station (143 Charlotte St, Asheville NC). This event starts at 6:00 on Sunday, March 26th, 2017. Intentional Swine & OWL Bakery joined forces the evening of Sunday, October 30th for a collaborative dinner inspired by Halloween & all things spooky. Guests enjoyed a 6-course adventurous menu highlighting the unusual & obscure, alongside artisan baked goods. WE HAVE SOLD OUT FOR THIS EVENT!! Intentional Swine will be hosting a pop-up dinner Monday, August 22nd, celebrating the heritage pig, culinary traditions & wine from central Italy. Join us for a relaxed, five-course dinner with wine pairings as we guide you through the cuisine & wines of central Italy. We will celebrate the heritage pig through traditional Italian culinary techniques paired with fresh, local ingredients. In this dinner, we will explore several different regions of Italy while learning about the rich culinary & wine cultures surrounding them. We're excited to participate in our first Blind Pig Supper Club Dinner! This dinner's proceeds will be donated to Equality NC and their efforts to help repeal HB2. Equality NC is dedicated to securing equal rights and justice for lesbian, gay, bisexual, transgender, and queer (LGBTQ) North Carolinians.